Polysilicone-11 is a synthetic cross-linked siloxane (a type of silicone) that functions as a film-forming agent in cosmetics and skin care products. Polysilicone-11 is a cross-linked siloxane rubber formed by the reaction of vinyl-terminated siloxane and methyl hydroxy dimethyl siloxane in the presence of cyclomethicone. In simpler terms, polysilicone-11 is a type of silicone. The terms “silicone” and “silicon” are often mistakenly used interchangeably, when in fact they are quite different. Silicon is the 14th element on the periodic table and the second most abundant element in the earth’s crust, after oxygen. It is everywhere around us, even making up part of our bodies. Silicones are synthetic polymers made up of repeating units of siloxane (elemental silicon and oxygen) combined with other elements, most often carbon and hydrogen. Thus, silicones can also be called polysiloxanes. Silicones have wide spaces between each molecule, which form a molecular lattice. Upon application to the skin, this lattice enables silicones to form a film on the surface while still allowing skin to “breathe”. Oxygen, nitrogen, and other nutrients can still pass through the film formed by silicones. However, most silicones do not allow water to pass through, which is an ideal quality for preventing transepidermal water loss (TEWL) – a leading cause of skin dryness and dehydration. Over 50 percent of all new cosmetics introduced globally in the last 10 years contain at least one silicone. As a class, silicones improve the feel, appearance, and performance of cosmetic products. These ingredients act as silky moisturizers, conditioners, solvents, and delivery agents for other skin care ingredients. Silicones are able to help with skin redness and irritation due to their low surface tension, which enables them to spread easily across the surface of skin and form a protective covering. Specifically, polysilicone-11 functions as a film-forming agent. This film consists of both water-binding and water-resistant molecules. The water-binding portion is the highly flexible and mobile siloxane backbone, which binds to moisture in the air and holds it to the skin. Additionally, this backbone allows the water-repelling methyl groups to orient themselves toward the surface, creating a waterproof “umbrella” that prevents transepidermal water loss (TEWL). Furthermore, the smooth, even film that polysilicone-11 forms can help other beneficial ingredients penetrate the skin more easily, as well as prevent contact with potentially irritating ingredients. According to EWG, polysilicone-11 has received a rating of 1 on a 1 to 10 scale, with 1 being the lowest hazard to health. 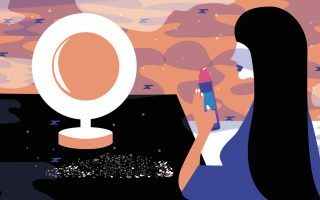 As a class, the silicones used in cosmetic products (including polysilicone-11) are supported by scientific research and are considered safe for consumer use. 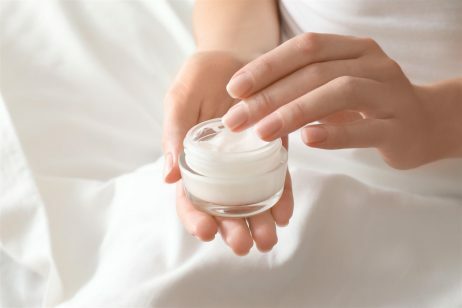 Even though silicones have been proven both safe and effective for cosmetic purposes, a multitude of rumors exist claiming they are unsafe for topical use. For instance, there are claims that suggest topically applied silicones can lead to chronic diseases, such as rheumatoid arthritis, lupus, scleroderma, chronic fatigue, and cancer. However, it is not possible for topical silicones to cause or worsen any of these diseases because their molecules are too large to penetrate the skin, preventing them from entering the bloodstream. Claims that silicones can bioaccumulate (build up) in our bodies is also false since their size prevents them from being able to pass through cell membranes, a key requirement for bioaccumulation. Another myth that has been asserted concerning silicones is that they can cause skin irritation and redness when applied topically. Quite the opposite is true. In fact, the American Academy of Dermatology (AAD) suggests cosmetic grade silicone can reduce skin redness, stinging or irritation for cystic acne and rosacea patients. In sum, polysilicone-11 and other types of silicones are safe and beneficial ingredients used in a wide variety of cosmetics and personal care products. References: EWG’s Skin Deep Cosmetic Database, “Polysilicone-11”, Dermascope, “The Many Faces of Silicones”, Wikipedia, “Silicone”, FutureDerm, “Ingredient Spotlight: Cyclopentasiloxane”, Paula’s Choice, “Polysilicone-11”, Skin Inc., “12 Silicone Myths Exploded”, 2014.